Town and Country police pulled a body out of a car in a small pond. TOWN AND COUNTRY, Mo. 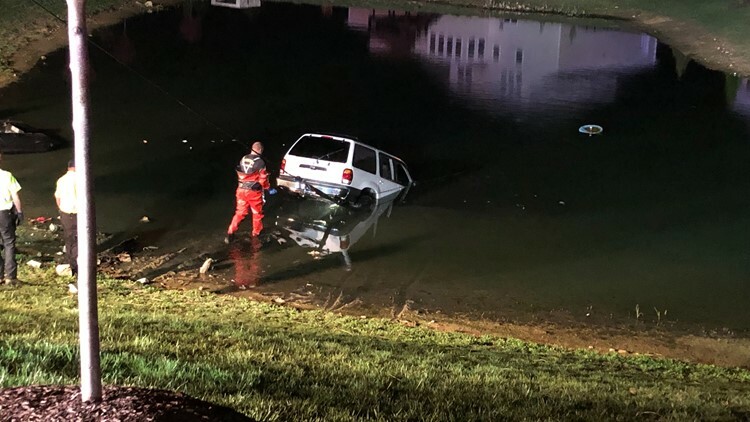 — Town and Country police found a body Wednesday morning after pulling an SUV out of a small pond at The Estates at Town and Country Crossing. Police believe the car barreled through a parking lot and brick sign around 1 a.m. before ending up in the pond. Police said an SUV hit a neighborhood sign on Town and Country Crossing Boulevard overnight and ended up in a nearby pond. A dive team later found the driver dead inside. The Ballwin man is not being identified, and the cause of death is still unknown.